Recognizing there is a real need to not only conserve water by utilizing drip irrigation, but also fertilize plant material effectively and efficiently, Strong Enterprises designed and patented the Add-It fertilizer injector. These injectors make fertilizing not only easy, but economical and efficient as well! Many homeowners, landscape contractors and commercial growers already know about the numerous benefits of fertigation. Once a fertilizer injector is installed into either a drip or conventional sprinkler irrigation system, fertilizer and/or nutrients are applied directly to the plants or turf, creating healthier plants with much less work! 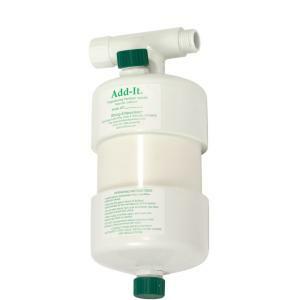 The Add-It Proportioning Fertilizer Injector (1.5 Quart size) is designed for home and garden use. Constructed of durable PVC material with standard garden hose thread connections. Easy to operate for either drip and sub-surface irrigation or with sprinkler systems. The Add-It injects fertilizer at a consistent, predetermined ratio (200:1). 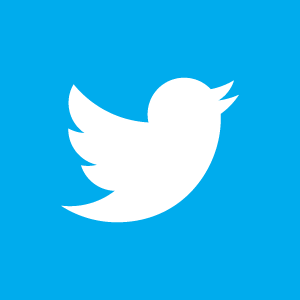 A minimum flow rate of 2 GPM and 10 PSI pressure in your system is required. A backflow device must be installed before the injector and a filter is recommended when injecting fertilizer into drip irrigation systems. Gallons to empty is 75. Injector does not need a by-pass as running water through the empty unit will not harm it. The unit must be installed in a level position for proper operation and protected from direct sunlight. The units can be painted with water based acrylic latex paint. During the winter months, if there is a possibility of freezing in your area, it is highly recommended that the tank be left drained and vented to atmosphere or removed and stored.